1. Say Z E H H U – meaning, say to yourself, out loud, shouting or a whisper that you have had enough and mean it. You have had enough of living in the room of depression. Use any word that is meaningful to you or the term Zehhu. The point is to have a trigger word to catch yourself from descending into a deeper depression than where you are now. 2. Choose to Plant Your Vineyard – Just as the vineyard owner must make the choice to create a vineyard and fine wine, so too we must make the choice to build a new life that is not based in depression. Make the choice to find a new way to approach each day and depression will no longer be the main environment, rather a dingy old room that is triple locked away in a far away basement. You have to close and lock the door to the room of depression. 3. Select a Sunlight Drenched Location to Plant Your Vineyard – Just as the owner must select a site which gets plenty of sun for a successful vineyard, so to you need to get outside in the sun, physically, get some vitamin D which can help to minimize depression. Also, you need to brighten your own thoughts, internal sunshine, start saying affirmations to counteract the years of self-criticism, especially for a person who experiences massive rejection, it is time to love and approve of and accept yourself. 4. Working your Field – Just as the field must be plowed and the earth turned over to prepare for planting, so too it is time to work your field, physically push yourself to workout physically which is going to help in wonderful ways to balance your body and thinking. This is why walking is so excellent, because walking for those of us who are blessed, is available to just about everyone. For people who cannot walk, we need another type of activity, if possible, to get your body moving. If you are able to do pushups, and/or other bodyweight/weight lifting exercises, even better to build more muscle. Working your field, your body, yourself physically is going to help you feel better physically and in your mind. In addition, just as the field is plowed to cover past roots, so too we must turn over a new leaf, get our heads out of mourning in and over the past, time to create a new wine. 5. Planting the Field – Just as the vineyard grows grapes and not oranges, so too we reap what we sow, so we must be careful with the words we speak and the thoughts we have. Think thoughts of being the person that you want others to be, be the billboard, the model so to speak. Speak out those same type of words, always encourage yourself. We are wounded. We are traumatized. This is not the time to wage war on our own lives. How long can we keep speaking words of self-destruction? 6. Watering the Field – Just as the vineyard needs real nourishment and blue colored Gatorade will not cut it, so too we need real food and drink to nourish our bodies and our brain. A healthier brain is going to be less vulnerable to depression. 7. 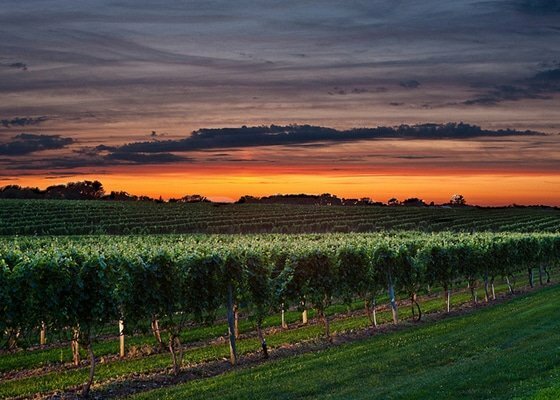 Protecting the Vineyard – Just as the vineyard must be protected from harm and theft, so too do we need to protect ourselves from mental and physical harm, as well as theft of our own identity. One of the terrible consequences of depression is not just the isolation from others, but the estrangement from ourselves, when we become isolated from our own identity and just identify with the depression. We are more and we have to not let our identity of depression go lost. We are each unique and can never lose that sense of worth and value, no matter how heavy the depression is. 8. Harvesting the Vineyard – Set up new goals for collecting the fruits of your labor. Set up the time and day that you want to achieve new successes in your life. Whether it is a 90-day weight loss and muscle building project or completing an art class, challenge yourself to start looking forward into the future and not back into the past. 9. Selecting the Best Grapes – Just as the owner selects the best grapes for creating the wine, so too, we must take the best out of everything that you have in our life and create a new narrative of success. Even if it is only that we are able to walk, that is not a small thing! Read the story of Howard Lyman, a cattle rancher from Montana who lost the ability to walk for several years until an operation removed the tumor that was pressing on the nerves of his spine. Being able to walk is out of this world happiness as is just about every other physical function that we are prone to taking for granted. 10. Pressing the Wine – Just as the grapes and even the seeds are squeezed into what will be precious wine, so too we must squeeze every morsel of goodness that we can from all that we have in our lives, our health, our finances, our friends who support us, our family who we are in contact with, everything, no detail should go unnoticed nor unutilized. 11. Drinking the Wine, Celebrating with Family and Friends – Just as the owner always had the intention to create fine wine out of the vineyard, so too, we must celebrate all of the good aspects of our lives, with family, with friends and at least with ourselves, even if we are so to speak alone. We have to find the reasons to have a happy day, every day. Working on ourselves, our field, our vineyard so to speak, will yield fruit and will yield wine, every day, wherever we focus. You have mourned long enough, it is time to celebrate every breath and every moment. There is much more to our lives than ‘depression', we have more depth and breadth than that one awful room. These tips for beating depression are based on the book Z E H H U: Crossing the Bridge from Depression to Life.